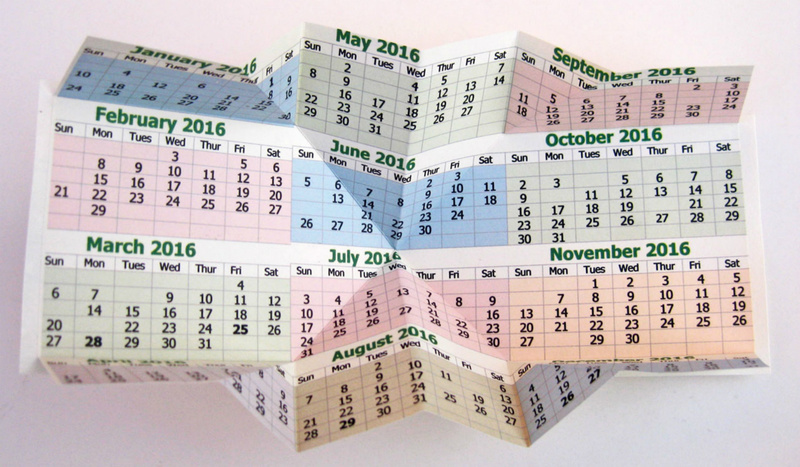 At first glance, this appears to be simply a 2016 calendar. On closer examination, we see that each month has some dates missing, defined by different mathematical series, simple code messages and relevant dates. There is a key on the accompanying envelope if you tire of working out for yourself the reasons for each month’s omissions.